This Makita cordless drill has a powerful high-speed four-pole motor with bearings and an ergonomic and rubberized hand grip for more comfort. The Makita drill is versatile enough for almost any task or conditions. This drill has Extreme Protection Technology which protects the drill against dust and water. The XPH102 also comes with Star Protection Technology which increases the lifespan of the Makita drill battery. As far as power tools are concerned, one thing that remains true is that any project is more easy to complete with the help of a cordless drill. However, there are so many manufacturers producing cordless drills such as Dewalt drills, Bosch drills and Porter-Cable drills for example, thus providing you lots of options to choose from. Therefore, it can be a quite overwhelming task to find the right drill, especially if it is your first time buying a cordless drill. Today, there is a wide range of tools available, right from very high-end and well-known manufacturers, and all the way through to those who offer basic cordless drills at a lower price. In this article, we’ll have a look at a Makita cordless drill – we will discuss its main features and how it can benefit you. The Makita XPH102 might not be in the same league as the professional grade tools, but coming with so many settings, it can be a great bang for the buck. The Makita XPH102 is one of the most renowned cordless drills purchased in stores such as Amazon. And with 84 percent 5-star rating on the e-commerce giant, this cordless drill certainly seems to be one of the favorites among clients. The variable speed, massive torque output, carrying, case, and its ergonomic design are some of the primary features of this cordless drill/driver that makes it a leading product on its own. With the Makita cordless drill, you can screw and unscrew the fasteners and even drill the holes in dense materials of various thickness with ease. Whether you are looking for something heavy-duty or just for carrying out little tasks around the house, this Makita cordless drill can be an excellent power tool for you to buy. At this time of writing, Makita XPH102 is ranked as #1 on Amazon’s best-selling list of power hammer drills – awe-inspiring, right? The Makita XPH102 is one of the excellent Makita power tools that has made Makita what it’s today. So, if you’re not searching for something fancy or you merely need to purchase a device which can serve your needs, then this simple-looking blue-based model is precisely what you want. When it comes to the design of the Makita XPH102 18V LXT Lithium-Ion Cordless 1/2-Inches Hammer Driver-Drill Kit, you will realize that it looks pretty much just like its cousin Makita XPH012 18V LXT Lithium-Ion Cordless Drill model. The difference is that it has less weight, weighing only 3.9 pounds with the battery attached and less long in size, around 7.3-inches than the Makita XPH012. Thus avoiding your hand or arm to get tired when carrying out extended drilling or driving tasks. Additionally, the Makita XPH102 features an ergonomic hand grip, which makes it more compact and convenient to use without experiencing hand fatigue and also helps keep your drilling/driving accuracy intact. Besides its ergonomic design, its lightweight design makes it quite easy to maneuver the drill into tight spaces. This craftsman cordless drill is incredibly versatile, and the hammer option means it’s perfect for all materials, including metal, concrete, wood, and even masonry work. This kit comes packaged in a convenient protective carrying case and has an 18-volt LXT lithium-ion 3.0Ah battery and a rapid charger included . The Makita XPH102 boasts of having four-pole motor generating up to 480 maximum torque, for astonishing drilling and driving results. Also, this Makita XPH102 features two variable speed settings – it is capable of operating at 1900 RPM at its lowest speed setting and up to 28500 BPM when set to the highest speed. It’s perfect for every type of drilling application – you will be able to perform a quick and efficient job with quality. The battery life of this Makita 18V cordless drill is astonishing – it can last around 3 hours depending on the kind of work you’re doing. Additionally, the charging time is remarkable – the Makita cordless drill battery takes around 20 to 30 minutes to charge fully. With the capability to entirely charge in just 30 minutes, the Makita 18V 3.0Ah battery enables you to spend more time working and less time waiting. Additionally, with large battery capacity, you will get more out of each charge. Besides its extended battery life, this Makita drill kit features star protection technology – which monitors the performance conditions of the trail to protect the drill from overheating and overloading. In simple terms, the star protection technology increases the lifespan of the battery life and ensures maximum performance. 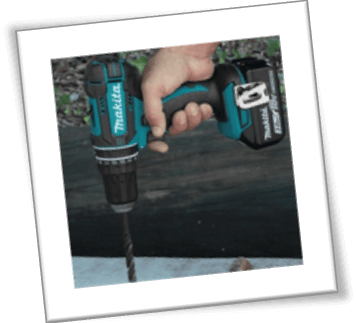 Makita also claims that this 18v cordless drill features Extreme Protection Technology (XPT) – which helps to reduce dust intake and is water resistant for adverse job site conditions. The XPT is typically a protective layer inside the unit that offers protection of your drill from dust and moisture. It’s uniquely designed to drain water and dust sediment from the unit, hence protecting its key inner components. The idea is to extend the lifespan of your power tool even when working in less than ideal situations. Used on steel, wood, etc. This brushless cordless drill sports 16 operation models which make it usable on most surfaces and materials. Additionally, it features a reverse button that enables you to change the direction of the drill rotation. Hence making it super-convenient when working on tough materials. Every time the Makita drill bit gets stuck in the hole, you can always press the reverse button and easily unscrew it. The Makita XPH102 features built-in LED lighting which makes it ideal, especially when working in the night or even in dark tight places, such as your cabinet. Also, this brushless cordless drill comes fitted with a metal clamping fixture, making it easy-to-attach it to your belt and set your hands free. This feature is perfect when working at big heights and you need to use both hands to climb the ladder. The Makita XPH102 18V LXT Lithium-Ion Cordless 1/2-Inches Hammer Driver-Drill Kit comes backed by three-year limited manufacturer’s warranty against defects of workmanship and materials. The impressive part is that you can return this Makita cordless drill 18v if you aren’t satisfied with this hammer driver drill within 30-days of purchase, and Makita will offer you a replacement or full refund. However, you should know that warranty will be offered under certain conditions. The limited warranty doesn’t apply where repairs have been made or where the drill or charger has been misused, abused or even improperly maintained. Also, if you have made any alterations to the power tool, charger, or even battery, be aware that the warranty will not be accepted. When looking for the best cordless drill, the most important thing most individuals take into consideration is the price and value for money. The cost of the Makita cordless drills varies significantly. The Makita XPH102 comes with an average price of under $150. When you compare the amount of Makita XPH102 18V LXT Lithium-Ion Cordless 1/2-Inches Hammer Driver-Drill Kit and Makita XPH012 18V LXT Lithium-Ion Cordless Drill Kit, you will realize that the Makita XPH012 is about $20 more expensive. We cannot say that the Makita XPH102 is not expensive, although its value is worth every penny considering the amazing features it offers, such as Extreme Protection Technology. Does it come with the batteries included? Yes, this Makita cordless drill kit comes with batteries included. The product dimensions of this drill are 5.6 x 16.9 x 13-inches. The battery life is astonishing. Versatile enough for almost any task or conditions. Extreme Protection Technology protects the drill against dust and water. Star Protection Technology increases the lifespan of the battery. Powerful high-speed four-pole motor with bearings. Lightweight and incredibly easy to operate. 18V Lithium-Ion battery recharges in less than 30 minutes. Ergonomic and rubberized hand grip for more comfort. LED lightings illuminates makes is possible working in dark areas. Doesn’t come included with an extra battery. Makita is famous for his quality, and the Makita XPH102 18V LXT Lithium-Ion Cordless 1/2-Inches Hammer Driver-Drill Kit (3.0Ah) is no exception. In a category which comprises of some pretty stiff competition, this product provides excellent value and impressive power. 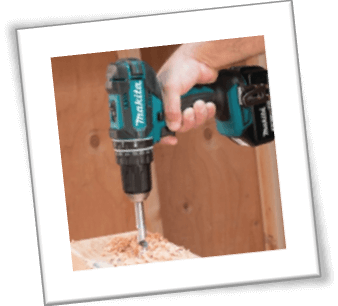 If you are looking to replace your old cordless drill with anything which provides more torque and more battery life, this Makita drill can be an excellent choice for you. With 480-inches/pounds of torque, you may even find yourself leaving the corded tools behind. The Makita XPH102 provides the flexibility to be the only drill or driver you need. This best cordless drill offers 0-600 and 0-1900 RPM which is quite impressive. Additionally, the blows per minute (BPM) for the hammer function are between 0-9000 at low speed and 0-28500 at high speed. This is enough to chew through about any kind of masonry quickly. In this Makita XPH102 18V LXT Review, we tried to cover everything which you want to know. Hope you liked this Makita XPH102 Review. If you have any questions please do not hesitate to ask or share your experience in the comments below. Still not sure about the Makita cordless drill? How about you check out our cordless drill buying guide or maybe compare the best cordless drills on this page, this will definitely help you make an informed decision. 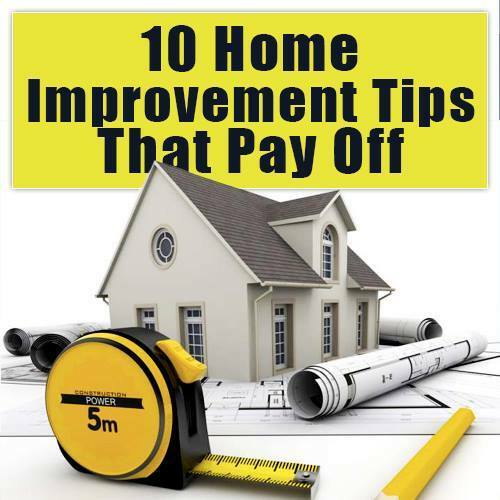 Download Your 10 Home Improvement Tips And Significantly Grow The Value Of Your Home Today!